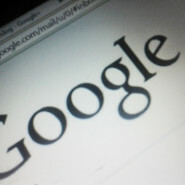 Home » Blog » Is Yahoo Using Google-Powered Search? Is Yahoo Using Google-Powered Search? For the majority, Yahoo and Google are easily viewed as two completely separate entities. While it seemed like the only thing that connects them is Yahoo’s head honcho, Marissa Mayer who used to be a Google executive, it seems like the two are getting along more than we expected. Thanks to discovery of SEOBook’s Aaron Walls, we recently found out that Yahoo is using Google-powered search in both organic and ad search. “As we work to create the absolute best experiences for Yahoo users, from time to time, we run small tests with a variety of partners including search providers. There is nothing further to share at this time,” Yahoo shares. This comes as a surprise to many, especially since the Justice Department did not permit Google to provide search ads for Yahoo back in 2008 because it “denies the consumers the benefit of competition”. Now it appears that a new deal has been set up for the two companies to work together. DOJ hasn’t released any official statement. Yahoo and Microsoft recently revised their 10-year partnership contract with Bing. With the latter formerly providing exclusivity in Yahoo’s search results and ads, the latter is now allowed to enlist other providers to make up for the 49% of its results. Speculations have arose that Bing and Yahoo may soon go their separate ways on October but the latter has yet to make a final decision. In 2009, Microsoft made a 10-year contract deal with Yahoo, which had paved the way for the former’s Bing branch to share significant revenue, putting them on the map. While Yahoo may already be reaping benefits from working with Google this early on, the idea that the latter is moving closer into Microsoft’s territory isn’t sitting well with the tech tycoon. Microsoft has yet to comment on the story. Google continues to be the world’s top search engine, with a worldwide share of 71% in the market. Yahoo sits at a 9.6% share while Bing holds the remaining 10%. As to whether it was a wise move for Yahoo to partner with Google in empowering its search and ad capability, it is yet to be known. For now, users can begin to get used to seeing the two names in one page, sharing information amicably.